Lime Proxies Review 2018 - Recycled IPs or Virgin IPs: Which worth to buy? LimeProxies is a private proxies service provider, offer the premium proxies with virgin IPs. It’s Great for Posting Classified Ads, Bypassing Ticketing websites. Relatively expensive premium private proxies – Free trial is Available! LimeProxies is a data center private proxies provider, designed to deliver next generation enterprise proxy network covering 40+ countries and 100+ cities with over 100gbps network capacity assuring 99% uptime. Lime Proxies not only provides private proxies but also offer Socks5 Private Proxies and international Private Proxies. Lime Proxies optimize their proxies for Craigslist, Ticketmaster and online Gaming. 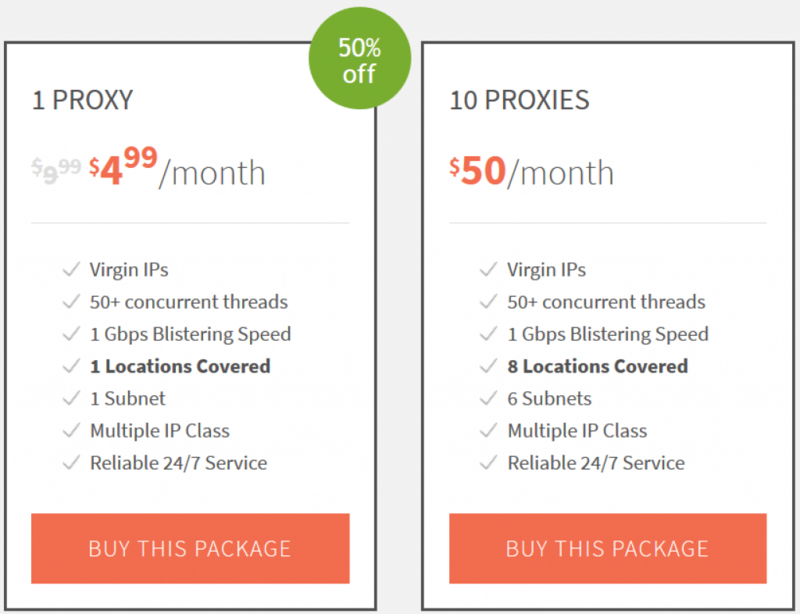 Now Lime Proxies offer a free trial for their proxy services. All you have to do is verify your phone number! This is a great option that not many other services provide. You can try any Private, Premium, and SOCKS proxy products for up to 2 days for free without any risk. They also offer a 3 day money back guarantee, giving you a potential 5 days of free trial. This should help you decide for yourself if the concerning customer reviews are indeed accurate. LimeProxies mainly offer two type of proxies, Private Proxies and Premium Proxies, Both Private and Premium proxies are the same datacenter dedicated proxies, the main different is the IPs of the proxies which are fresh or not. Those proxies are the cheap but note all are recycled IPs which mean already use by other before and the maximum speed of only 100Mbps. Also they do not offer Nike proxy services. They allow up to 100 concurrent threads by default, but you can increase this limit upon request. You also cannot use their proxies for emailing, spam, abuse, accessing e-commerce sites such as PayPal, eBay, or Scrapebox, xRumer, or any forum commenting software. And you can only get the Locations of the Data centers from Miami, San Jose, Berkeley, Long Beach, Dublin and Germany, I am not suggest you use those proxies for the social network website, especially for Instagram and Snapchat. Also, This packages not support Classified Ads / CL and Ticketing Sites. Custom locations are available on a premium proxies package which cost much more. Virgin IPs are IP addresses that have never been used before. This means that sites that typically block remote proxies will be much less likely to realize that you are accessing the site from a proxy. That makes them great for Gaming, and Mass Posting GEO Classified. So if you have had problems with your IP addresses getting blocked in the past, this may be the culprit. LimeProxies proxies will not have this problem since they offer the highest quality virgin proxies. They specialize in both HTTPS and SOCKS proxies, If you’re looking for virgin proxies, Lime Proxies is a great option to consider. Those proxies are really expensive for using Virgin IPs, which means they have never been used by other users. So the price is understandably high. The maximum speed these servers are capable of is up to 1 Gbps. This packages supports Classified Ads / CL and Social Media, instagram, Twitter, Youtube and etc., so if your needs fall into any of those categories, you will be just fine settling on one of these options. There’s a sister company with LimeProxies named as LimeVPN, So Limeproxies offers the Multiple Datacenters in Different Geographic Locations, that covering 40+ countries and more than 30 US cities. Proxy Authentication uses both User & Pass based and IP based authentication that allows up to 5 incoming IP address. Update - 2018.08.12I purchased and used their 10 Premium Proxies for the foot sites, works well on Footaction.com, Eastbay.com, Footlocker.com, Yeezysupply.com, But Note you can not use it for Nike for only 2/10 proxies works for Nike. Ask one premium proxy to test for your purpose. They offer a typical ticket support system, as well as a few direct email addresses for more specific needs. There is also a phone number available for contact. The site layout is a little strange, and finding things can be a little difficult. It isn’t unusable, only a little troublesome. They advertise a free trial but do not deliver. I signed up, never heard back. I put in a trouble ticket, never heard back. I even went onto their chat, asked why they did not respond to my request, never heard back. I just wanted to test one day to see if it would be an easy match for my wife to use while traveling, she gets blocked. Long story short, ONE STAR for having bad customer service and not doing what they advertise. Do not waste your time to this bad service. Lime proxies tick all the boxes when it comes to speed, volume of proxies and geo spread. However their support is shockingly bad. We recently had a weeks worth of downtime without recompense. I tried several other proxy companies for high end web scraping.. But most of the providers either had slow proxy speeds or didn’t have good support. Limeproxies happened to offer the best proxy speeds among all. We were able to get 800 mbps speed on 500+ threads with no throttling. Love their self managed control panel which makes ordering and managing a ease. Highly recommended. Limeproxies managed proxy control panel rocks. Provides the best mix of subnets from several locations. Highly recommended if you are looking for quality service. I have worked with various proxy providers and limeproxies is the best when you compare with other providers… Also their after sales tech support is excellent… Their proxy speeds are so amazing. I was able to get full 1 gbps speed only their servers. Awful customer service. Very rude and not helpful. Also, beware they will fill proxy order with one of your old orders. All my proxies were dead and not replacebale.